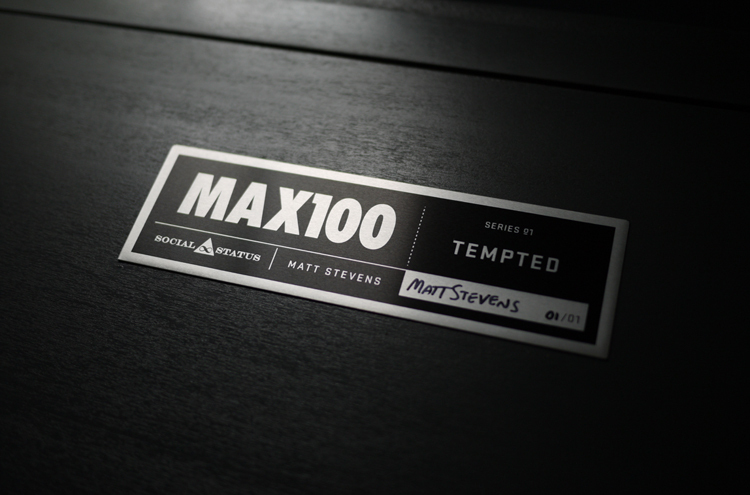 It's been almost a year ago that I began shipping out the first of the MAX100 books. The project has extended into many other mediums and opportunities including retail spaces and gallery shows and I'm really excited about the latest one. 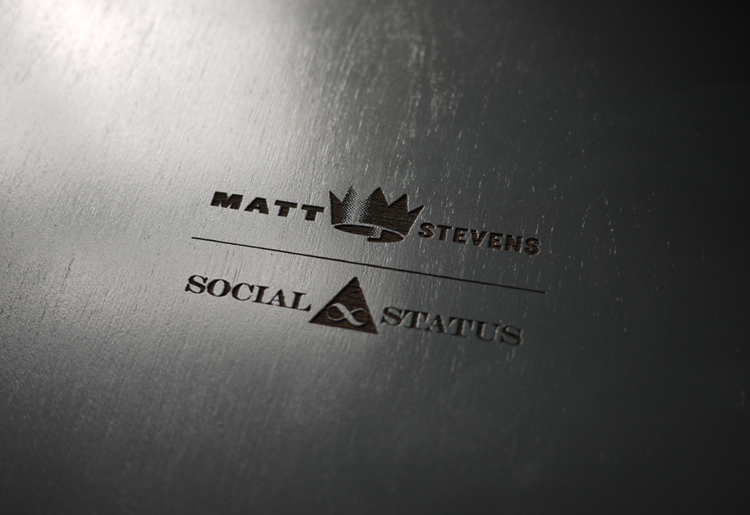 I approached sneaker / streetwear shop Social Status several months back about carrying the book in their stores. Once the owner James Whitner and I had a chance to sit down and meet about things, James had the idea to extend the MAX100 concept into physical product. 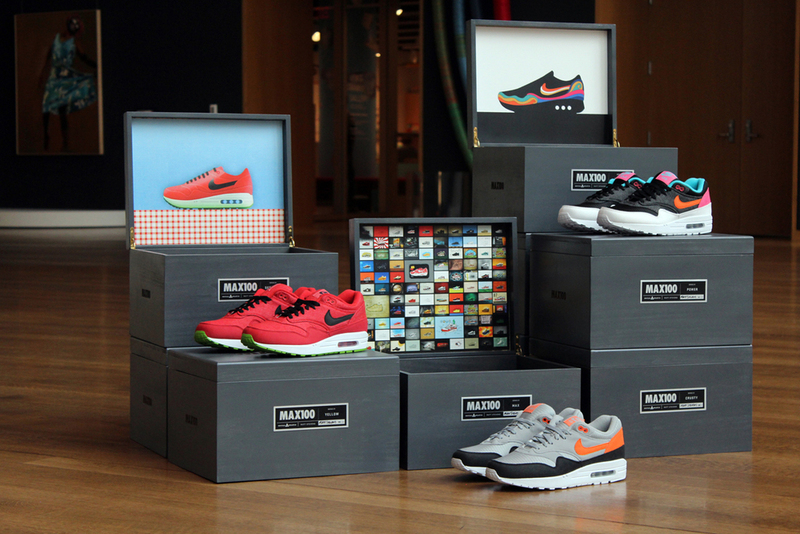 The Shoes / I had a blast coming up with the packaging and choosing 10 of the pieces from the book to interpret into actual AirMax 1's. We developed 10 1 of 1's. 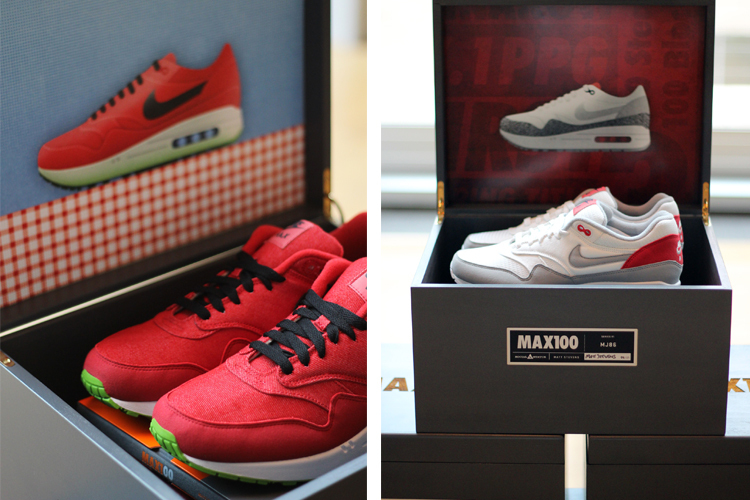 Each is the only of it's kind, and comes in a custom made, laser engraved wooden box, including the Air Max 1's with custom insole, a signed metal I.D. plate, and a signed copy of the MAX100 Book. 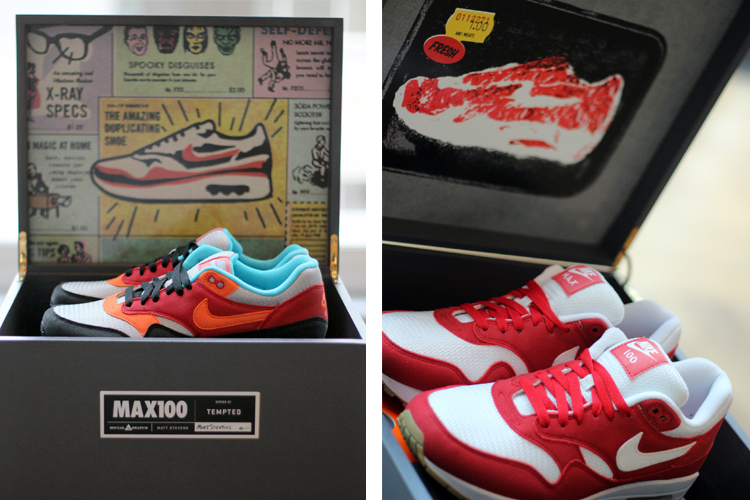 The Cause / Part of our mission was to auction these as a way to benefit a worthy cause. I have both a personal connection and a real passion for the work of NoDa School of Arts. In their own words a key part of their mission is: "To provide high quality performing and fine art training to youth who otherwise do not have access or exposure to the arts. Building upon inherent creative strengths in each young person, we seek to provide tools and skills transferable to a professional career in or a life-long love of the arts." All the time we've donated developing these and all the proceeds from the online auction will go to support the ongoing work of NoDa School of arts, in bringing the arts to kids that otherwise would not have the opportunity based on situation or finances. How to Get Them / You can check them out and participate in the auction on ebay from September 15th through the weekend. If you're local to Charlotte you have the option to come by the Social Status store on Central Avenue on September 15th and place your bid there. It's been a long road, finding resources, getting them made and getting the word out. Special thanks to Nike who has been on board and supported us throughout and Hypebeast who has been a great media partner in this process. 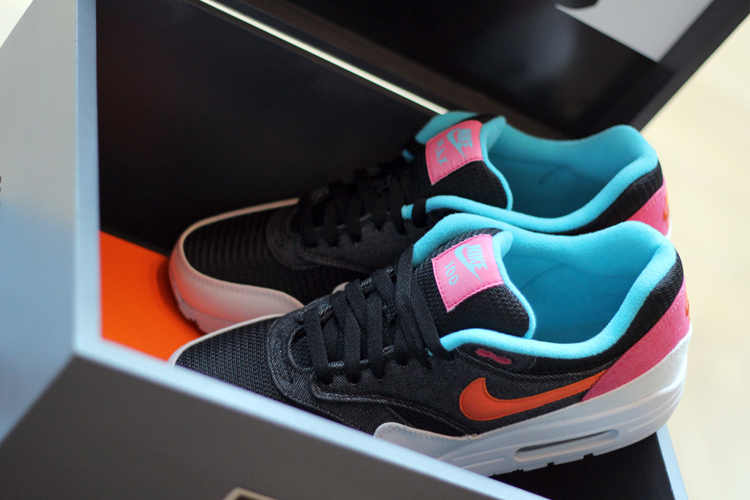 Thanks to all the other outlets like Sneaker News who have posted about and supported the project as well. Big thanks also to talented photographer Joey Richey donating his time shooting our interview and Theo Mercado shooting all of the product shots. It's been a fun ride and hopefully we can raise a lot of money for a worthy cause.